Raisa‘s Coconut Milk isn’t just for pina coladas and Thai curries. Both the Regular and Organic versions of Raisa‘s Coconut Milk are fast becoming popular alternatives to cow’s milk, especially for those of us who don’t appreciate almond, soy or rice milk, for example. And with reported anti-carcinogenic, anti-microbial, anti-bacterial, and anti-viral properties, here’s to another amazing food from our friend the coconut tree. Coconut (Cocos nucifera) belongs to the Palm family (Arecaceae), and is grown in abundance in Malaysia, Polynesia and southern Asia. Spanish explorers named the cocos - meaning 'grinning face' - because of the three little eyes on the base which they thought resembled a monkey. Classed as a fruit but frequently confused for being a nut, the coconut is actually a one-seeded drupe. In Sanskrit, the coconut palm is known as kalpa vriksha - 'tree which gives all that is necessary for living' because nearly all parts can be used, the water, milk, flesh, sugar and oil. To make Raisa's Coconut Milk, coconut flesh (the white part) is grated and soaked in hot water. The coconut cream rises to the top and is skimmed off. The remaining liquid is squeezed through a filter to extract a white liquid that is the coconut milk. By repeating this process, the coconut milk becomes thinner. The thicker version is used for desserts and rich sauces. Thin coconut milk is used for cooking curries and soups. Coconut is a dairy free alternative to those who are lactose intolerant and are also allergic to animal milk. It is known to relieve the symptoms of sore throat. It is good for the health of skin and hair. 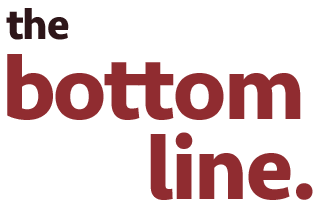 Many cosmetic giants use it as a base in products for skin and hair. Applied to the scalp coconut milk helps maintain dandruff free hair and conditions hair naturally. Coconut milk is a reservoir of antioxidants, helping the body fight aging, low vision and low bone density. It also aids in digestion and is used as a laxative, and is a remedy for urinary and kidney problems. If the skin has been exposed to the sun for a long period causing a rash or sunburn; coconut milk can be used as an instant healer, with cooling properties that will help ease the dryness and itchiness. Coconut milk is a good source of natural fat for the body. The saturated fat content in coconut is made up of short and medium chain fatty acids. These fatty acids are quickly converted to energy instead of being stored as fat in the body. 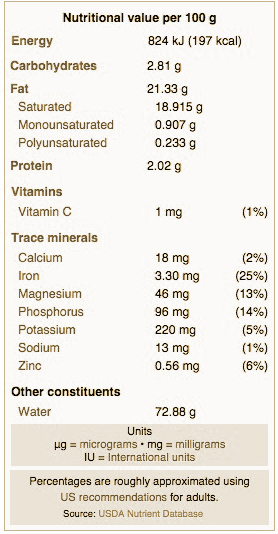 The medium chain fatty acids present in coconut milk are full of lauric acid. Lauric acid is anti fungal, anti viral and anti microbial, and helps to keep the arteries of the heart clean and healthy. Coconut milk helps to boost the immune system. Raisa's Coconut Milk is highly nutritious and rich in fibre, vitamins C, E, B1, B3, B5 and B6 and minerals including iron, selenium, sodium, calcium, magnesium and phosphorous. Unlike cow's milk, Raisa's Coconut Milk is lactose free so can be used as a milk substitute by those with lactose intolerance, and is also nut free, soy free and gluten free. 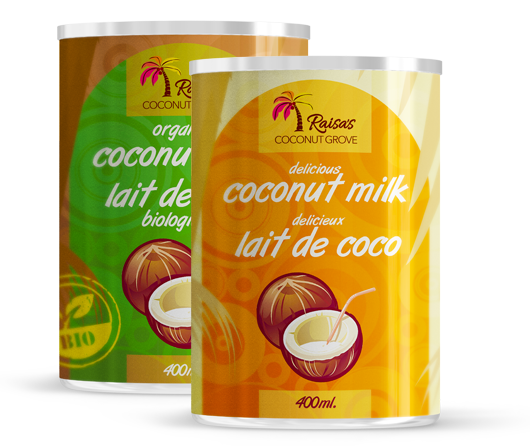 Raisa's Coconut Milk contains significant amounts of fat, but this is mostly in the form of medium chain saturated fatty acids (MCFAs) and in particular one called lauric acid. 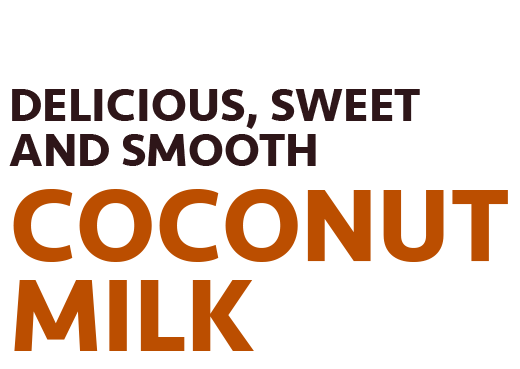 Lauric acid is converted in the body into a highly beneficial compound called monolaurin, an antiviral and antibacterial that destroys a wide variety of disease causing organisms. Island populations around the world have used coconut meat, juice, milk and oil in everything from cooking to disease prevention for thousands of years. Raisa's Coconut Milk is a delicious, sweet cream often used in mixed beverages, smoothies and asian cooking. 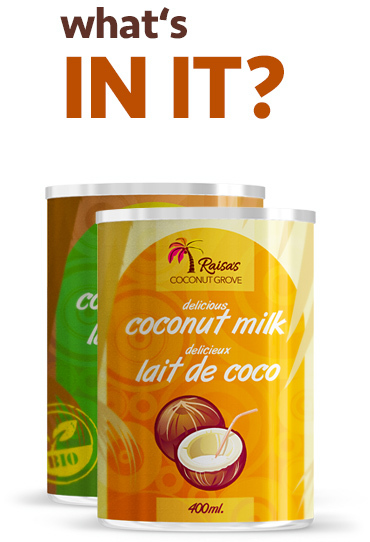 Need a creamy delight - a tin of Raisa‘s Coconut Milk has it all.